Measurements have been made on about 200 Si i lines in the region 1548 to 2000 Å excited by a low-pressure source, resulting in wavelength values with uncertainties of less than 0.0015 Å on the average. Of these vacuum ultraviolet wavelengths, 88 have been calculated by Radziemski and Andrew [ J. Opt. Soc. Am. 55, 474 ( 1965)], and a comparison of measured and calculated values gives an average deviation of 0.0008 Å. A plot of the differences shows the scatter to be much greater than any systematic difference. This indicates that the calculated wavelengths are compatible with the set of Ge i lines used as standards in measuring the Si i lines. The new data have also led to an extension and a slight revision of the odd-level analysis. New measurements on some lines of C i, Ge ii, N i, and Si ii are also reported. Spectrograms were taken in the first order on a 10.7-m Eagle vacuum spectrograph with a reciprocal dispersion of 0.78 Å/mm. The source was an electrodeless discharge lamp containing SiCl4 and GeCl4 vapor with argon or helium carrier gas at a total pressure no greater than 0.5 torr. Observed Si i lines from 1548 to 2103 Å.
a The figures in this column are visual estimates of plate blackening relative to 1988 Å which was assigned the intensity 1000.
b Values in this column are taken from Table VI of Ref. 1.
c The numbers in this column are the code numbers for the levels given in Tables III and IV, Ref. 1 and Table II of this paper. The “°” symbol designates an odd level. d This line is partially masked by a strong Ge ii line at 1576.852 Å.
e This line fits well the transition 4–69° but since the previous member of the series was missing the coincidence was taken to be accidental. f This line is within 0.002 Å of a Ge i line. g This line is within 0.04 Å of a strong Ge i line. h These are averages of grating and interferometric values. The latter values are those of Table II, Ref. 1, lowered by about 0.003 Å (prior to averaging) because of a change in the phase correction curve in this region. New odd levels of Si i.
a A parenthesis about a level value indicates that the level has been established by a single combination. Hence, it should be considered provisional. c The line 64018.31 cm−1 which we here identify as 3p2 3P0–3p8d 1P1° was also observed by Wilson3 but not classified. Instead he chose as this transition the line 64043.92 cm−1 which we did not observe. Relative intensities of the Ge i vuv standards as they appear in the electrodeless lamp. a Except when indicated otherwise the uncertainty estimates in this column range from 0.0002 Å to 0.0007 Å with an average value of 0.0003 Å. The individual estimates for each entry are given in Ref. 4.
b This wavelength did not appear in Ref. 4; this experimental value is from this investigation and its estimated uncertainty is 0.0010 Å.
c Corrected value. Through a copying error this was listed in Ref. 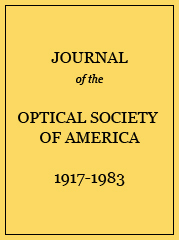 4 as σ 51613.374 cm−1 with corresponding wavelength λ 1937.48233 Å whereas it should have been σ 51613.370 cm−1 with corresponding wavelength λ 1937.48248 Å. Newly measured auxiliary standards in the near vacuum ultraviolet. a The estimated uncertainty in these values is ±0.0010 Å.
c These are calculated wavelengths reported in Ref. 6.
d This is vacuum wavelength, even though the wave number is less than 50000 cm−1.